Another legendary sword is Crocea Mors (“Yellow Death”). It is a gladius - a Roman shortsword. It was wielded by Julius Caesar at the time of his conquest of the Celts. The sword itself was one of the finest blades in the Roman arsenal, and in the hands of a skilled fighter like Caesar was said to slay anyone it struck. According to British legend as recorded by the scholar Geoffrey of Monmouth, during Caesar’s invasion of Britain, one of his hardest battles was against the ancient British prince Nennius. 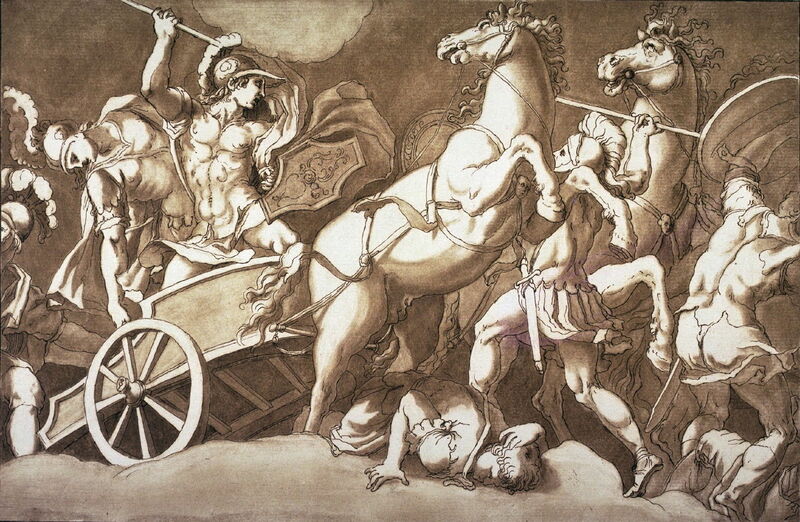 The prince’s chariot broke through the roman lines, and Caesar found himself fighting hand to hand. He stabbed right through his enemy’s shield and dealt the prince a fatal wound, but in so doing Crocea Mors became stuck in Nennius’ shield. Amazingly, despite his wound, Prince Nennius managed to stagger away from the battle and escape on his chariot. He continued to fight on for another 15 days - using Caesar’s own sword - before finally succumbing to his wounds. He was buried with the sword at his side in a tomb whose location is now lost. 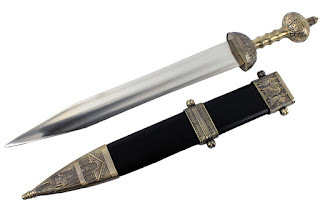 Crocea Mors is a potent blade (+2 to hit) but its association with Julius Caesar , the original great dictator and emperor, that makes it of immense value. In the 1930s the person who would most like to find it would be the Italian dictator Benito Mussolini, who fancies himself a modern incarnation of Julius Caesar and the leader of a renewed Roman emperor. Mussolini would stop at nothing to acquire this symbol of Caesar’s military prowess for himself, even sponsoring covert archeological missions on England’s soil. 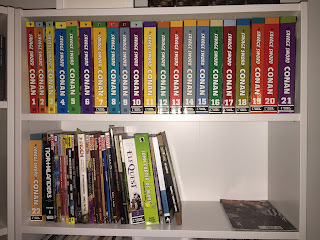 A lot of Pathfinder content, but also a good general mix of OSR stuff. All Night Owl Workshop books are 40% off one day only. This is the best deal of the year, never have these books been offered at a better price. 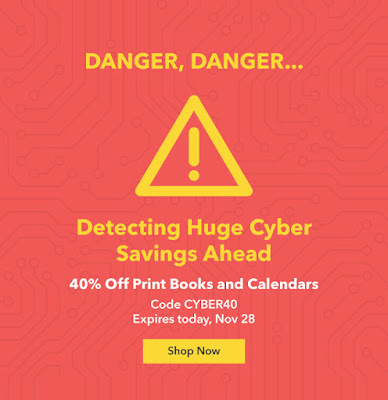 Enter Code CYBER40 at checkout to get this great deal. 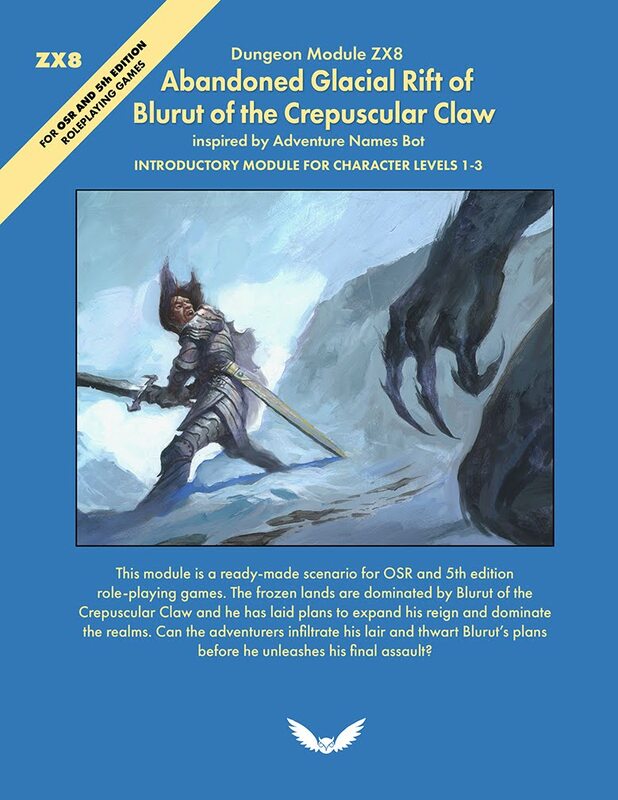 Dungeon Grappling is a supplement for your old-school RPG that gives a fast, simple, and robust system for moderating unarmed combat. 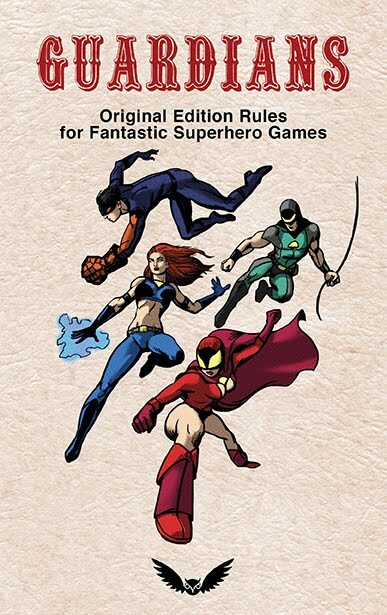 We loved this system so much that we used it as inspiration for unarmed combat in the Guardians super hero role playing game, and has become the de facto system for all our Original Edition rules. 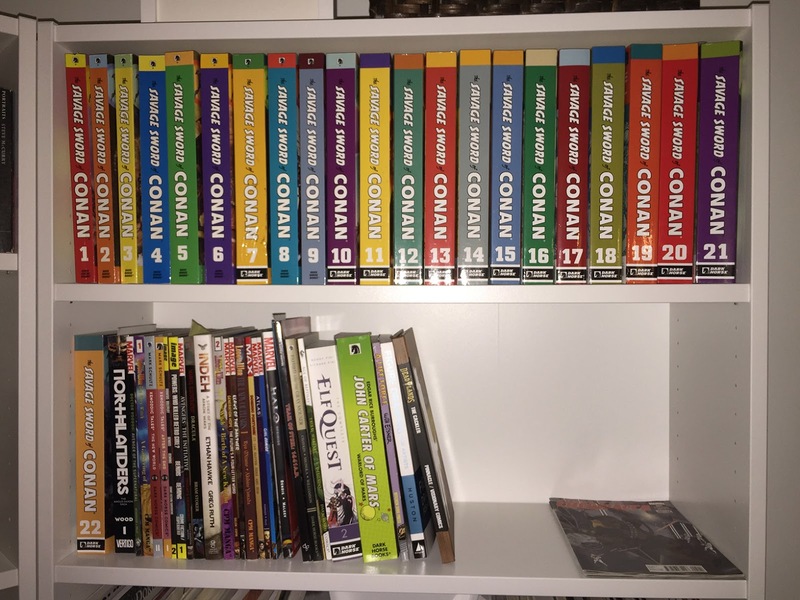 Gaming Ballistic is running a Kickstarter to fund a print version of this excellent system. 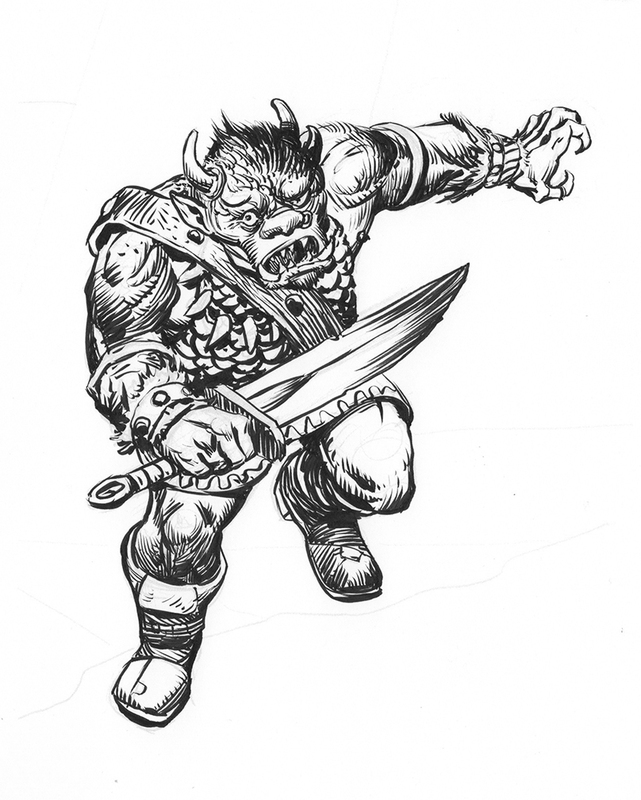 Dungeon Grappling brings those thrills to the oldest fantasy RPG with rules and examples for several editions from the OSR, PFRPG, and Fifth Edition. It unifies the mechanics with those of weapon combat, providing for simplicity and flexibility in execution. Everything from simple wrestling to throws, locks, and choke holds are given mechanical guidance. 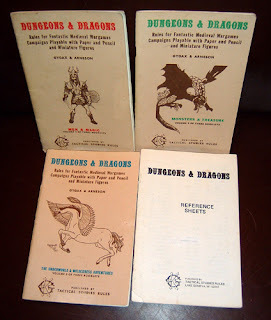 Plus, of course, support for fearsome talons, crushing jaws, and grasping tentacles. Check out the Kickstarter and help fund this fantastic supplement! The quetzal lizard is a long, wiry creature with forward curved horns, a mouth full of sharp dagger like teeth, and a spindly tail that ends in a spiked ball. They come in a variety of colors from deep red to lime green. It does not use its teeth or horns to attack with, preferring to face away from an opponent and swing its spiked tail which has a 10’ range. The quetzal lizard oozes a sweet smelling acidic poison that gives its body a slight glistening look. This poison tends to splatter when the creature is struck. On any successful melee attack the attacker may be splattered and will have to make a saving throw or take 1d6 points of damage. A successful ranged attack can also cause the poison to splatter, and anyone within 10’ of the creature will have to make a saving throw. Quetzal lizards are found in warm damp climates. They prefer shady or dark places. Rarely do they make sounds, but during mating season the males can sometimes be heard to give a sharp, piercing cry that is returned by a low mournful howl by a female. Great heroes need great villains, and Raiders benefits from having some of the most infamous bad guys of all time. Nazis. The philosophy of the Nazi regime led it to seeking out legendary artifacts around the world for the power those objects might contain. This puts them in natural conflict with the protagonists of a Raiders adventure. A uniformed enlisted soldier. Weaponry consists of a bolt-action rifle and bayonet. 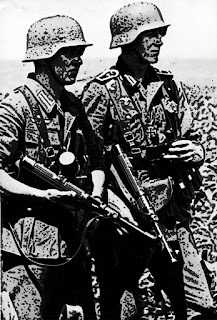 Soldiers in tropical or desert climates often wear caps or hats rather than helmets (AC 9 ); otherwise a steel helmet is usually worn. Each infantry squad (8-12 men, but in the field often under strength with only half that many!) usually has one man armed with a light machine gun or automatic rifle. One man in a squad may have a submachine gun or an anti-tank rifle. If expecting trouble, soldiers may carry a couple of grenades. Squads are led by a squad leader with 2 HD. Three to four squads will make up a platoon, commanded by a lieutenant (or equivalent) assisted by a platoon sergeant. 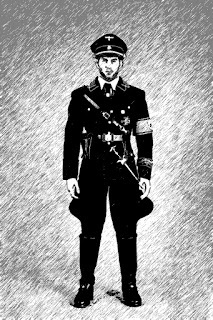 Similar stats can be used for organized para-military fascist thugs such as Italian Blackshirts or Nazi Brownshirt “Stormtroopers” (the SA) although they are usually less well disciplined than regulars soldiers. Soldiers vary in motivation from patriots to fanatics to mercenaries, but most are more interested in fighting for their comrades sake than anything else, and will retreat in good order if badly outmatched. A member of a high-morale unit that has its pick of recruits. Equipped the same way as ordinary soldiers, but with +2 to morale checks, due to fanaticism, and greater HD. Sergeants or officers have 3 HD. They will often fight to the last man. These units will often have carbines, machine pistols, or submachine guns rather than rifles. Some units may still also arm officers or men with swords. 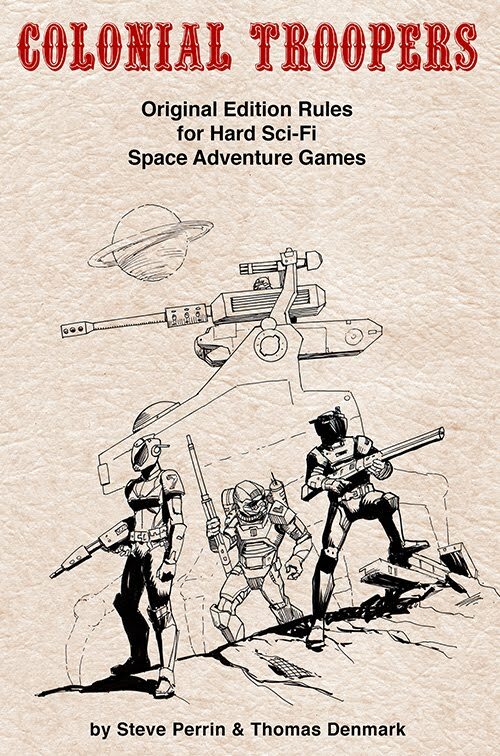 A classic from the Warriors of the Red Planet roleplaying game. The Banth is the apex predator of many wastelands, appearing as a hairless, eight-legged mass of claws and fangs with a wiry black mane. Groups of hunting Banth herd potential prey with their fearsome roars (under 4HP must save or flee for 1 turn). 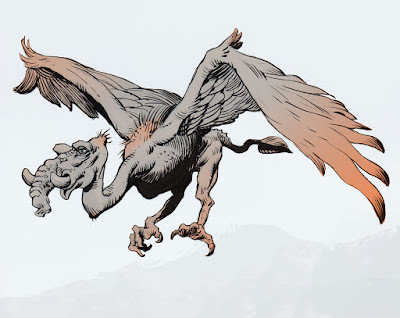 When fighting, two successful claws attacks allow them to rake their prey with their remaining six claws automatically for an additional 6d4 points of damage. A Banth hide is among the most coveted ornaments a warrior can possess. This news has been rocketing across the various OSR blogs. 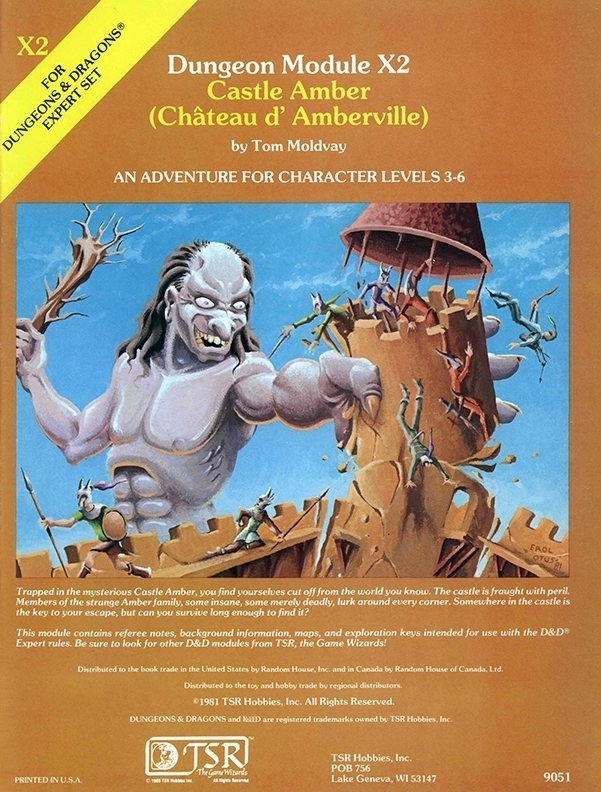 Wizards of the Coast has begun releasing classic adventures in POD. It will be interesting what effect this has on the collector market, in particular prices on eBay. A well deserved honor for the greatest game ever made. In the 1970s, serious war game players Gary Gygax and Dave Arneson added the concept of role-playing to the strategy games they enjoyed. They thus created an entirely new way to play, allowing older gamers to immerse themselves in fantasy worlds not unlike children’s imaginative play. The game soon became popular, and other firms published similar games built upon related mechanics but often employing different fantasy settings, from historic battlefields to outer space. 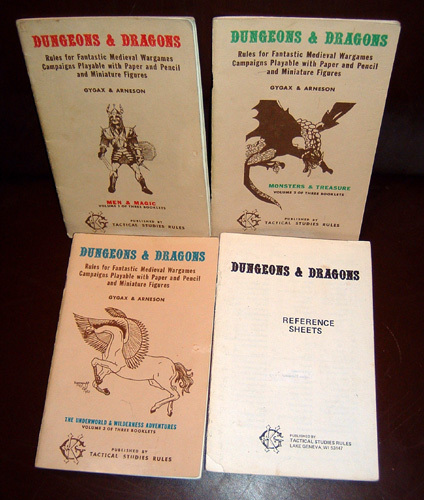 Dungeons & Dragons (D&D) and its imitators actually changed the nature of play. 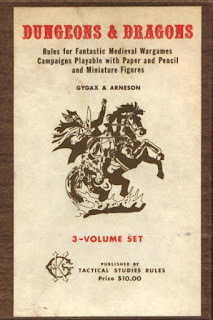 More than any other game, Dungeons & Dragons paved the way for older children and adults to experience imaginative play. It was groundbreaking. Feel free to generate some stats for this weird monster if you like. Its the orange headed drumpf eagle. It appears to be part eagle, part elephant, and some say all rino. 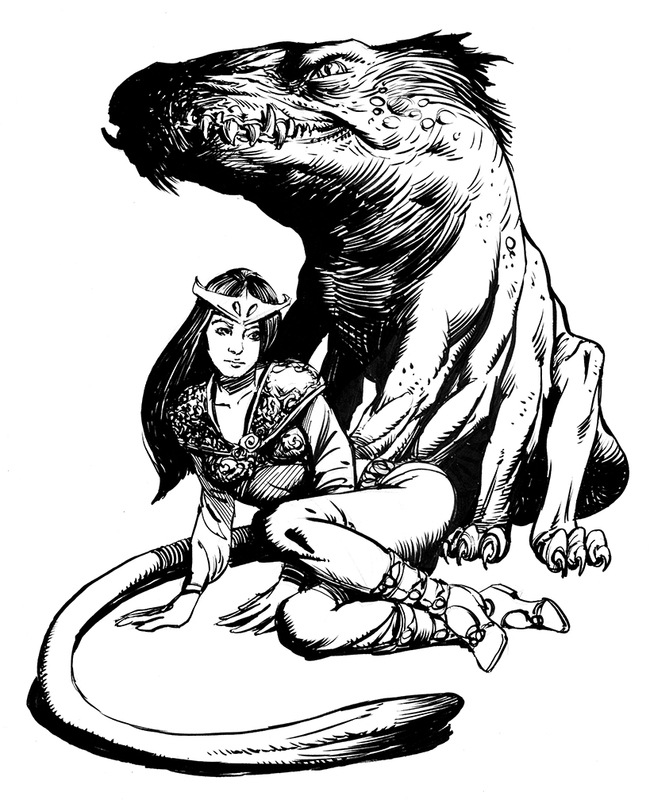 Most fantasy roleplaying games hand out magic items like candy on Halloween. You have your +1 daggers, your potions of healing, and whatnot. In Raiders every magic item is a mighty and ancient relic of unimaginable power! You don't just walk into a temple, slay some beasties, and loot their horde for a magical suit of +5 armor of aggrandizing. You go on an epic adventure to gather the clues, race against and face off with your rivals, overcome a perilous journey, to finally find the buried entrance lost ages ago. Then you dare to enter the trap filled tomb. After overcoming all these obstacles you find the object of your desire. A rare and precious artifact forged by an elder race long ago, perhaps touched with power from the gods or ancient ancient technology beyond our reckoning. You emerge from the dusty catacombs, blinded by the noon day sun only to be confronted by your archenemy who takes the hard fought fruit of your labors, not to put in a museum, but to gain the power for himself. To threaten all mankind with this strange and unknown force. 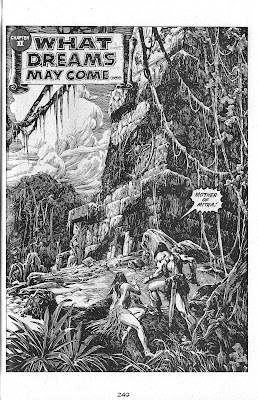 The adventure continues until you finally outwit your opponent, or he is destroyed by his own lust and greed for power. You once again claim possession of the relic to give it to a museum where it can be studied and appreciated by everyone. Or perhaps some incompetent government bureaucracy then takes it and puts it away in some forgotten warehouse somewhere. Raiders isn't filled with lists of nifty magic items. 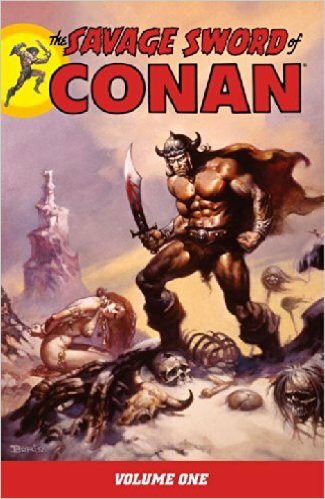 Instead it has a huge catalogue of real, and mythological-possibly-real items gathered from history and legend. Each of these is given enough of a story and description for the GM to use as a McGuffin in the adventure. But still rough enough around the edges that it can be fit into the GM's campaign without too much work. 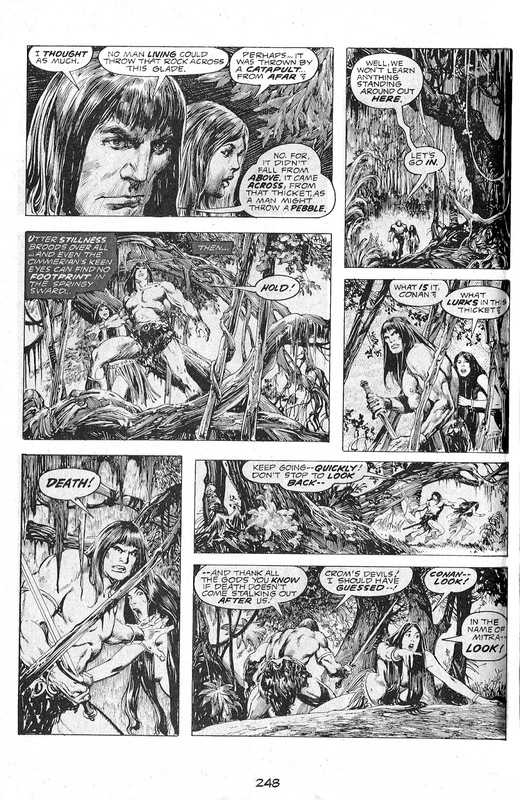 Here is an example, one of my favorites from the book. This was a form of magical armor born by the goddess Athena in Greek myth, and also sometimes carried by her father Zeus. It was symbol of military prowess and defense. Athena may have crafted the aegis from the hide of one of her monstrous foes, perhaps the giant Pallas, whom she killed in the war against the Giants. In form it could vary, but it was often worn wrapped around the wearer’s body, and also hanging down behind her as a cloak. It was said to have a surface like golden snake skin. After the Gorgon medusa was slain, Athena arranged to have its severed face integrated into the folds of the garment; when uncovered, the gorgon’s red eyes stared out from her chest and its writhing snake-hair hung like tassels, and its petrifying gaze could fall upon all who faced her. The Aegis could also be rearranged and attached as a cover to a stout shield (again with the gorgon-head facing outward); Zeus, if he used it, often preferred this form. It takes two rounds to change the Aegis’s form. As a garment, the Aegis provides AC -2 (22) to its wearer; as a shield cover it is a +4 shield (not cumulative with any bonus an existing magic or high-tech shield already provides, but if the shield is itself +4 or better, the combination provides a +5 bonus). 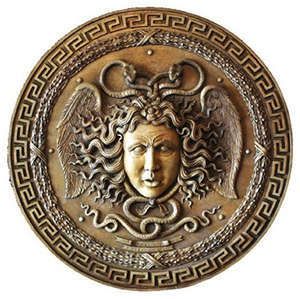 In addition, when the medusa-head is uncovered anyone who is looking directly at it and comes within 50 feet must make a saving throw or be turned to stone (after making a saving throw, they are immune). When the Aegis is worn as a garment, anyone grappling its wearer may be stung by the live snakes; they collectively attack in close combat with 4 HD with a hit doing 1d4 damage and requiring a saving throw vs. poison to avoid death. Even with its face covered, the aegis is also a potent symbol of power and victory; should a leader wear the aegis, any troops with him will have +2 to morale checks or saving throws made against fear, and the wearer or wielder of the aegis is themselves immune to fear. Goblins are fecund and can produce offspring paired with almost any other humanoid. These hybrids are usually sterile, but 1 in 10 is able to further reproduce with their own kind, they will be outcasts from both sides of their parentage so eventually they form their own colonies. One such creature is the blorc. Half goblin, half orc. If it is possible they are even more disgusting than either of their parents. With a fierce and terrible attitude to match. They will pillage, loot, and kill from anything they think they can get away with it. They are also not too bright. And sometimes pick on beings that they should not have. This causes them no end of trouble. The nest of a blorc is a foul den of matted fur, rotting carcasses, and shiny bits of things they have collected. There also might be 2-8 blorclings, small slimy offspring that emit a foul carrion stench. This stench generally wards off any intruders, but to those who dare to enter a blorc den must make a save or begin vehemently retching last night’s dinner. This extreme nausea can render the victim at -1 to attack rolls for 1d3 rounds.